I love nail art of all kinds. It's fun, festive and different. So I decided to do a tape mani and make a holiday gift. I started with a base coat. 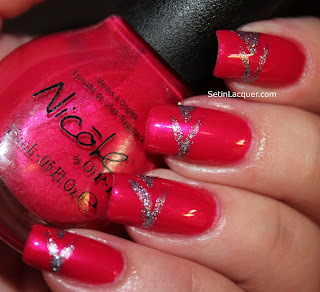 Then I applied Nicole OPI OMB to all my nails except my ring finger nail. 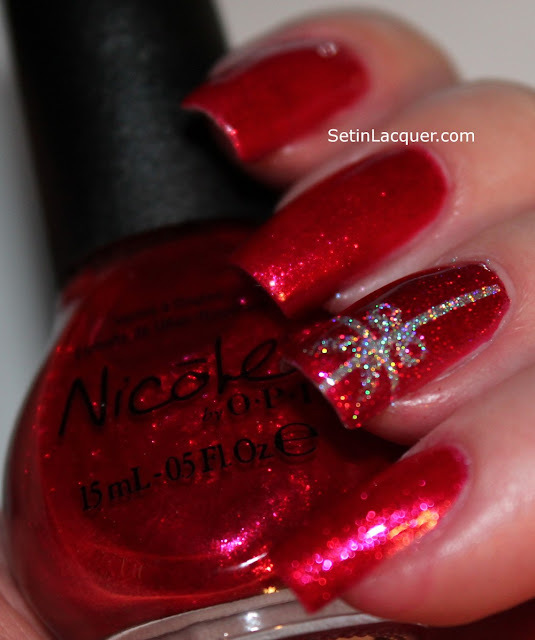 On my ring finger I applied Nicole OPI Make a Comet-ment. I positively love that shade. 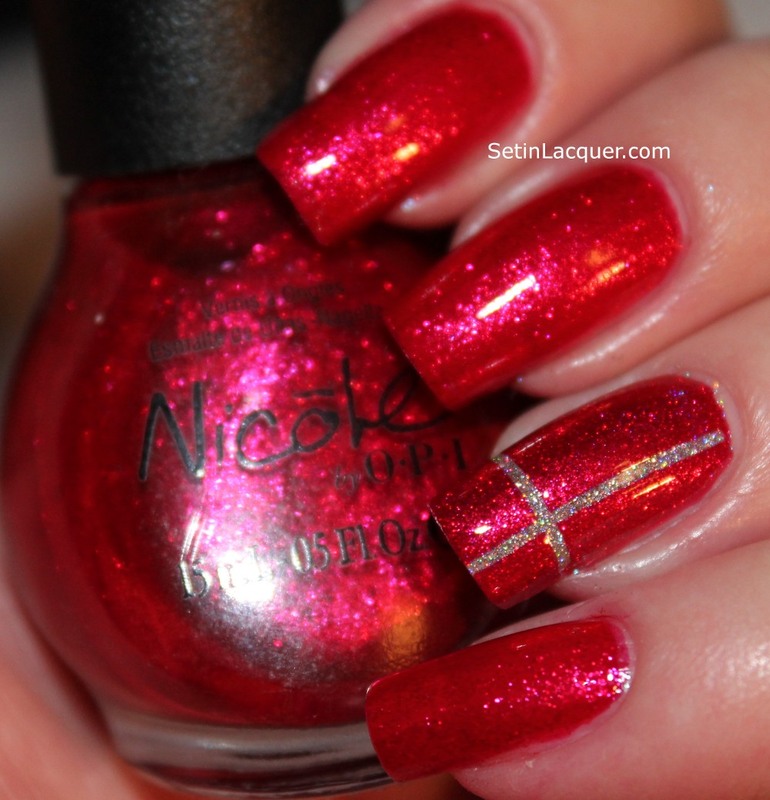 It is a silver holographic polish that applies opaque in two coats. Then I used two strips of nail striping tape on my ring finger nail. I applied NOPI OMB over the tape and removed the tape quickly. Now there is a perfect cross "ribbon" on my nail. Then I used a dotting tool and a nail art brush to complete the bow. 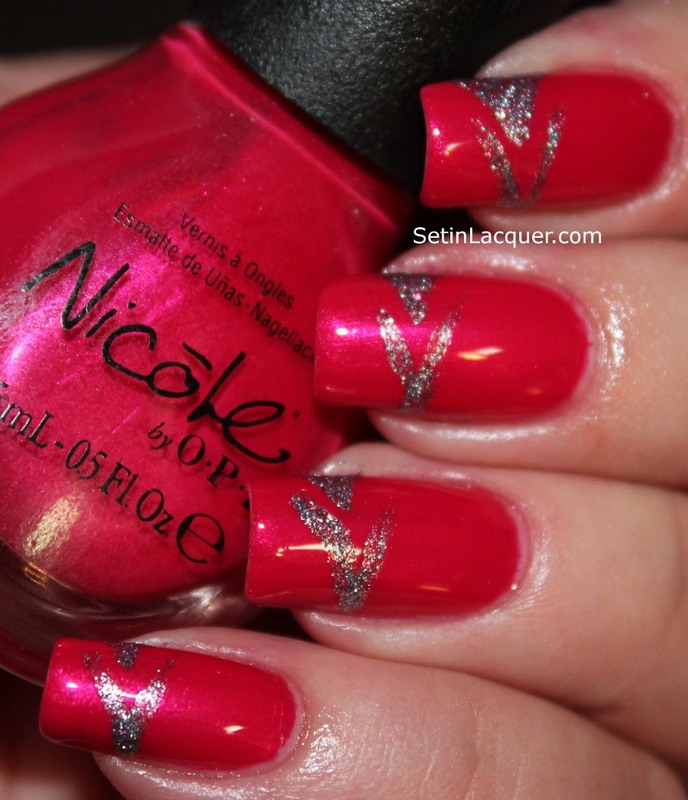 It's a pretty simple mani that looks like you spent a lot of time on it.